Elston was set up to research and develop innovative investment propositions for the UK market. Our mission is to become one of the leading ETF Strategist boutiques in the UK. 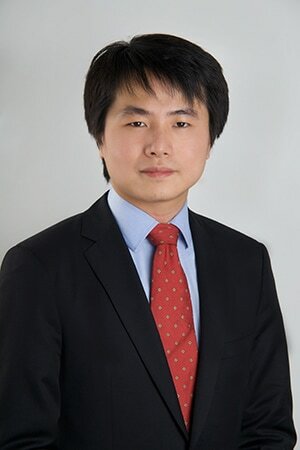 Henry is Director and Head of Research at Elston Consulting which researches and develops investment strategies for asset-owners, index providers, asset managers and intermediaries, with specialist expertise in Exchange Traded Funds. After graduating in 1999 with a first class MA(Hons) degree from the University of Edinburgh, he worked as a research analyst at leading investment managers, including Schroders plc, Thames River Capital LLP and was a partner at Nevsky Capital LLP. Henry is also a trustee of various private client and charitable trusts. Henry is an IMC holder since 2000, a CFA charter holder since 2004 and a member of STEP. Aly Kassam, D.Phil., M.Sc., B.Sc. Dr Aly Kassam graduated with First Class Honours in Physics and Astronomy from University College London, followed by an MSc. in Nonlinear Dynamics and Chaos Theory. He continued his studies at Oxford University where he graduated with a D.Phil. in Numerical Analysis. After Oxford, Aly worked for some years as a model-based trader for Barclays Capital, leading a small team trading fixed income futures and forex. He left BarCap to work as the most senior Financial Applications Engineer in The MathWorks Ltd. (the creators of MATLAB®), interfacing MATLAB® with Java, COM and C# and effectively using parallel computing for backtesting trading models. Whilst at The MathWorks he spent some time prototyping a hardware-based solution (DSP or FPGA) for ultra low-latency modelling in financial systems. Michael Weidman graduated with high honours in physics from Harvard University, followed by an M.A.St. (Part III Maths) in Applied Maths from the University of Cambridge. After his studies, Michael worked for 5 years for MathWorks as a Financial Application Engineer. He worked with customers from all aspects of the financial industry to assist them with issues arising from credit risk modelling, market risk modelling, algorithmic trading model building, interfacing MATLAB® with external interfaces, parallel computing, and statistical methods in back testing and stress testing. We enjoy taking on challenges, and solving problems. Whether you are an asset manager looking to differentiate your product, or a financial advisory firm looking to develop model portfolios for your client base, we are here to help you scale your business.